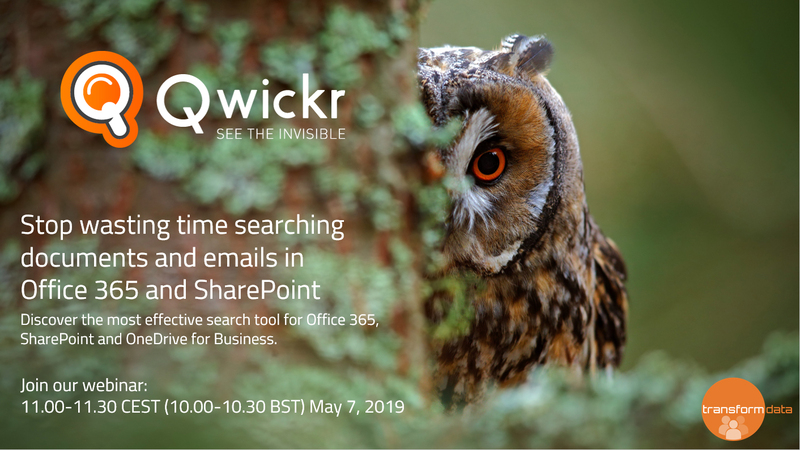 Would you like to know more about Qwickr – The most effective search tool for Office 365 and SharePoint? Register for the webinar now! Transform Data International has recently launched Qwickr, a desktop application that offers a new and efficient way to search information in Office 365, SharePoint and OneDrive for Business. the time slot does not suit you but you do want to receive a recording of the webinar.